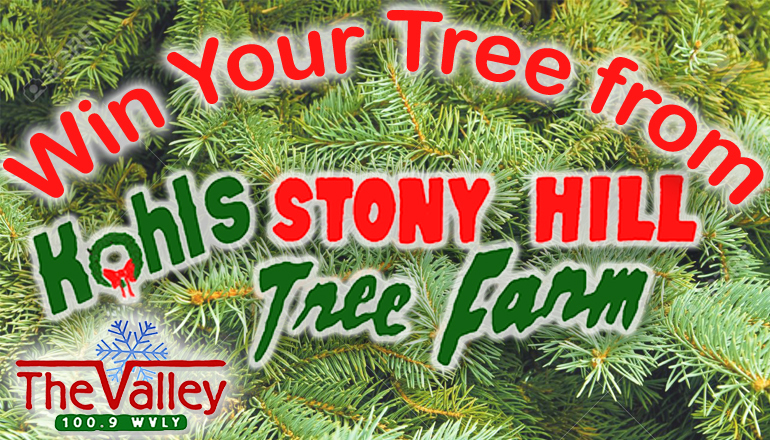 Listen weekdays for our Kohl’s Stony Hill Christmas Tree Farm Keywords. When you hear one, fill out the form below to enter. One winner will be selected each day from all correct entries. One entry for every correct keyword, up to 4 times a day! Each daily winner receives an available tree of their choice valued up to $45.